Researchers from Kansas State and Montana State universities have compiled a review article for the journal Weed Science that focuses on what we know and don’t know about kochia. 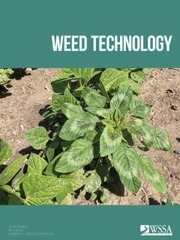 Their work spans dozens of studies, articles and databases that address the weed’s resistance to herbicides, its agronomic impact and its effective control. Conservation tillage systems favor rapid emergence of small-seeded weeds like kochia. Kochia is a serious problem during the summer fallow phase of the wheat-fallow crop rotations that are common in the dryland region of the Great Plains. Kochia can evolve resistance to the same herbicide chemistries via multiple mechanisms, which increases the need for diversified control tactics. Precision weed management systems can support wide-scale field mapping and early detection of herbicide-resistant kochia populations. Light-activated, sensor-controlled sprayers have been successful in site-specific weed control and can significantly reduce herbicide costs. The research team says there is still a lot we don’t know about kochia. 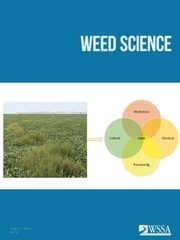 They propose a research agenda to improve our understanding of the weed’s biology, genetic diversity and plasticity, and the most effective, sustainable controls. Want to learn more? 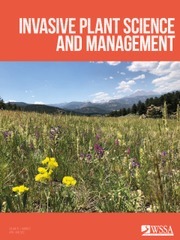 You can read the article “Herbicide-Resistant Kochia (Bassia scoparia) in North America: A Review” in the journal Weed Science, Volume 67, Issue 1.